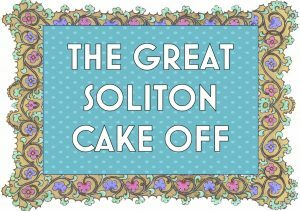 UKRC Special: The Great Soliton Cake Off is back for a third year! You are here: Home / News / UKRC Special: The Great Soliton Cake Off is back for a third year! Soliton IT has pleasure in inviting our contacts and customers to take part in the third Great Soliton Cake Off activity at UKRC, the UK’s biggest Radiology event, which takes on 10-12 June at ACC Liverpool. Back by popular demand, the Great Soliton Cake Off saw many participants at the 2017 and 2018 event where the Soliton IT team offered cake-tasting activities to visitors of their stand. 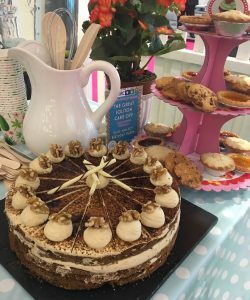 We recorded hundreds of guests and consumed 28 hand-crafted and professionally baked cakes over the 3-day show – this time with the Coffee & Walnut entry taking the lead. Customary to each UKRC show, Soliton IT is delighted to launch sector innovations in RIS, radiology IT and workflow to the Radiology and Imaging markets. We’ll have a full presentation booth available for Customers, Partners and new contacts to receive a demo on our defining RIS solution, Radiology+, and for us to demonstrate how our varied Radiology applications can help your department. Soliton IT also has new systems which we have added to our portfolio, including our Request+ referrer portal. Also headlining at the show, our Share+ product has been appointed the Radiology Reporting Network National Contract for NSS as well as another major hospital network. Soliton IT will be delighted to share updates on these revolutionary projects. Get in touch for a demonstration!